Behold! 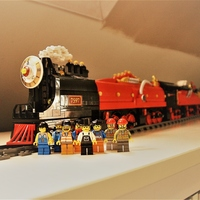 This is the longest and largest steam locomotive to storm along the rails. 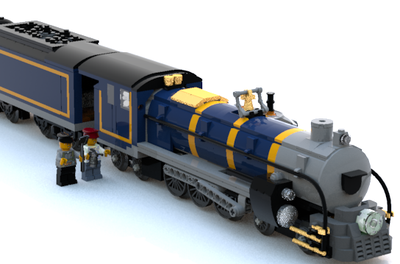 This locomotive is the result of every idea coming together. It has 5 driving units of 6 wheels each making a grand total of 30 drive wheels. The quintalex puts out over 15,000 BHP and can physically shake the earth as it storms dow the rails at 78MPH. With a massive appetite comes a massive crew to feed the beast, up to 8 men are tucked away in the cabs keeping this thing alive. 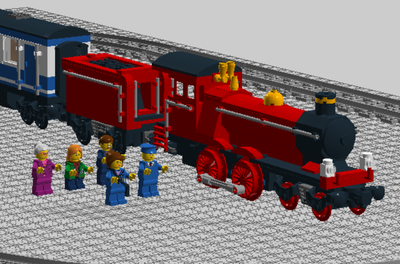 Behold, the finest in brick steam railroading! 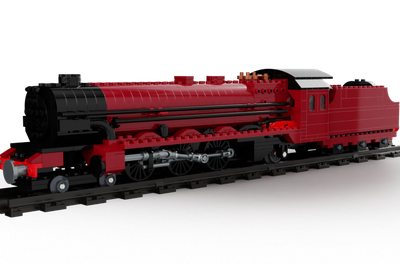 Facts about the model include; It is 70 studs long, 20 bricks tall at its tallest, boiler and first tender are 8 studs wide and it is 10 studs at its widest, there are 42 wheels all together with a wheel configuration of 4-6-6-6-6-6-0 + crane and water tender. This has been built to handles curves and switches very easily.